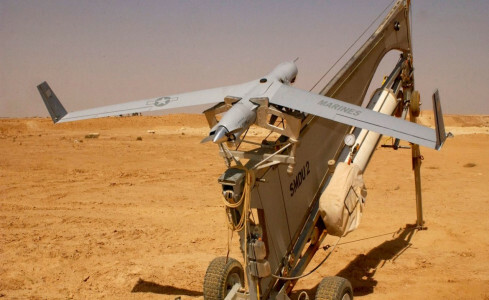 Lebanon received six Boeing Insitu Scan Eagle unmanned aerial systems from the United States on Wednesday, April 3, the Lebanese Armed Forces and the U.S. Embassy in Beirut said. The Boeing Insitu ScanEagle drone ScanEagle is a small, portable low-altitude long-endurance unmanned aerial vehicle with a flight endurance of over 20 hours used for battlefield intelligence, reconnaissance and surveillance. A single ScanEagle system reportedly comprises four air vehicles, a ground control station, a remote video terminal and the launch and recovery systems. The drone carries a stabilized electro-optical and/or infrared camera on a lightweight inertial stabilized turret system. It can also carry a miniature synthetic aperture radar. The Scan Eagle systems, valued at more than $11 million, are part of a $120 million package of U.S. military aid for Lebanon announced in December 2017. That package included six new MD 530G light attack helicopters and associated equipment and training. U.S. Army Contracting Command issued a contract for the helicopters in October 2018, with deliveries scheduled to be complete by the fourth quarter of 2020. “This advanced equipment will help the Army build on its steady strong capability to conduct border security and counterterrorism operations and importantly to defend the country and the people of Lebanon,” Ambassador Elizabeth Richard said at the time. Four A-29 Super Tucano light attack aircraft were handed over to Lebanon in June 2018, completing an order of six planes. Three years earlier, the U.S. Department of State approvedthe sale of the aircraft and associated equipment worth $462 million. Lebanese authorities were able to procure the aircraft through a $1 billion grant received from Saudi Arabia in 2014. The U.S. delivered Advanced Precision Kill Weapon System laser-guided rockets valued at more than $16 million for the Lebanese Air Force’s A-29s in February. In August, Lebanon received eight M2A2 Bradley Fighting Vehicles from the U.S., part of a $100 million program to deliver 32 in total. In September, a contract was awarded to supply 155mm high explosive howitzer projectiles to Lebanon.